Durable Packaging 1 Lb. 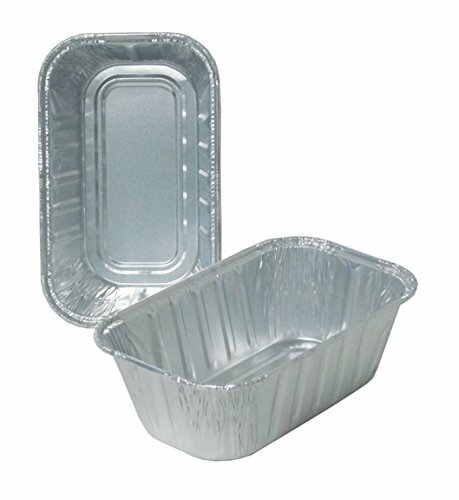 Loaf Pan (pack of 500). 100% recyclable. Disposable bakeware makes clean up easy, no mess! Measures 6-1/8-inch x 3-3/4-inch at top and 4-13/16-inch x 2-1/2-inch at bottom; 2-inch deep. Use with optional 1-1/4-inch deep plastic dome lid (model # P5000-500). Made in the USA.